Damon Industry Appeared in CeMAT again: We’re Ready, Who Dares to Contend? 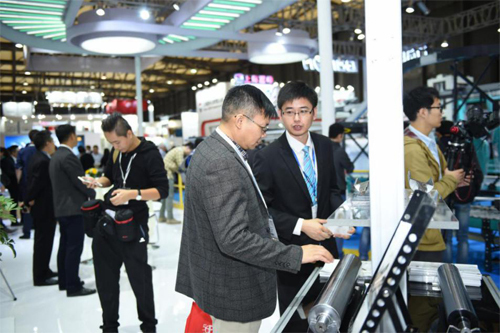 [From 6th to 9th of November, 2018, in Shanghai, China] Damon Industry appeared in 2018 CeMAT Asia again with the conveying roller,belt roller and MDR products. 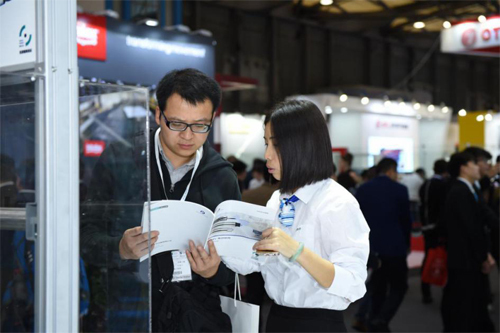 This exhibition is the biggest and the most influential international exhibition in Asian logistics technology industry, which gathers many world-famous logistics equipment suppliers and integrators. 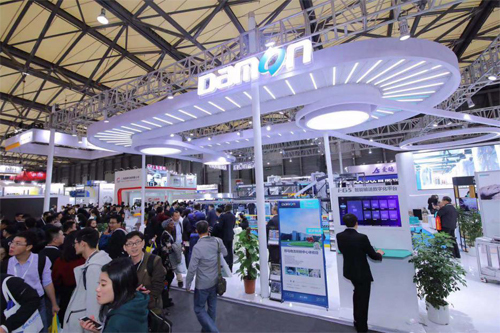 In recent years, Damon Industry has participated in CeMAT ASIA. 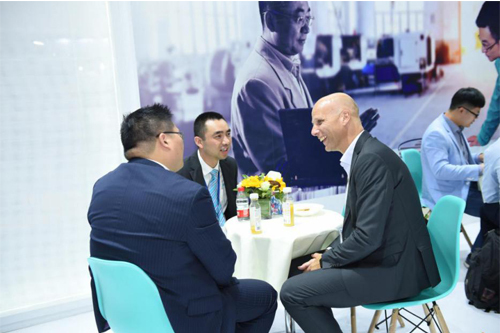 While showing its reliable and endurable core logistics parts products and technologies, it has also got together with the new and old clients of the industry, and jointly discussed about the future development tendency of the logistics industry. All the manufacturers in the logistics industry want to stand out in the world platform. How to stand out among more than 550 logistics enterprises, so as to fully show the brand and quality of the roller of Damon Industry to each logistics expert with unique insight? This cannot baffle our staff in Market Division of Damon Industry! For we have three swords, including: The smooth rotating light roller; the powerful high-torque electric roller and the solid friction and weld-belt roller!Let's explore their performance at CeMAT. To realize the smooth transportation of the small angle of glide slope and light object, Damon Industry has developed the new design idea and customized the rotating light roller suitable for chutes. The turning effort of 1500g roller only requires 12g, thus satisfying the use requirement of the falling transportation of light goods. Through the reliable and stable product performance, it has won great trust from clients. It now has more than 3 million rotating light rollers of Damon Industry, which serve the high-speed sorting system of the global logistics distribution centers such as Amazon and DHL. With the increasing use of electric roller, clients propose higher requirement for the delivery capacity of MDR. Through its strong torque, Damon Industry & KYOWA 24V provide more smooth transmission for the overloaded cargo. One box-type MDR may drive the goods of 500KG. Besides, this type of high-torque electric roller may singly boost more driven rollers and help reduce the use cost of clients. At present, it has been widely used in the automobiles like Benz, Volkswagen and BYD and new energy industry. When welding, the traditional lap welding needs to be added with other welding materials and gas protection. The welding aspects are mainly concentrated on the axle center and the outside surface of seal plate. Damon Industry takes the lead to use the new-type welding mode in the industry-friction welding. In this new welding mode, the overall welding process is automatically controlled by the device. It fully fuses two welding surfaces through the high temperature of 1000℃ and above. In welding, it needs no other welding materials, thus ensuring the purity of the materials of the welding parts. Meanwhile, the automatic device ensures the stability and consistency of batch of welding, thus greatly improving the reliability of welding. This welding technology and technique of belt roller have won the practical new patent. The exclusive belt conveyor roller produced by Damon Industry through this unique welding technique has greatly improved the safety and reliability of the logistics device of clients. It has been widely applied in the projects such as JD, VIPShop and Peacebird. On the site of the exhibition, we showed the three swords to you through a more interesting way and attracted many customers' and media’s attention. Here, I would like to thank the customers and media for their support to Damon industry! Damon Industry, one of the world's leading professional conveyor roller manufacturers, , it always makes its effort to creating a good roller for your logistics system competition in the past 20 years!